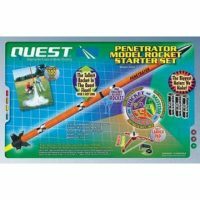 The Quest Penetrator Quick Kit starter set is a good way to get introduced to the hobby of model rocketry. 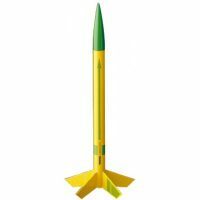 It has almost all the basic items needed to get started, including the Penetrator Quick Kit, model rocket engines, and a complete launch system. 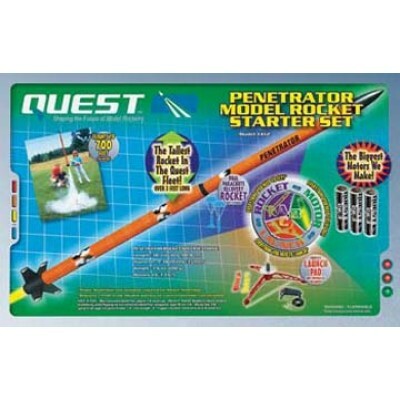 The launch equipment with the rest of the Quest Aerospace line of rockets. 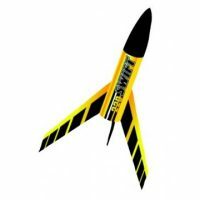 The Penetrator can fly to altitudes of up to 900 feet. 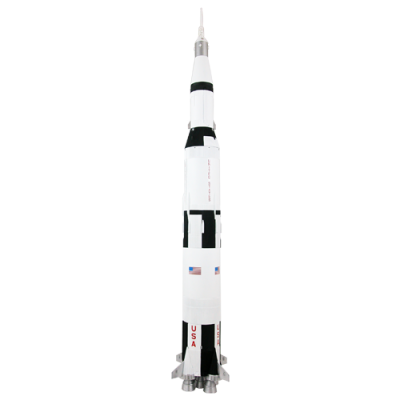 Preparation time is 15 to 45 minutes.